Car Design Academy is a school where you can learn car designing online. We are the first to be an educational institution where students can learn car designing from all over the world. Students can learn what to do in the designing industry and helpful techniques in real life from active professional car designers. We always strive to provide our realistically approached education to the world so it helps students bring out their potentials and their dreams to come true. Car Design Academy trains individuals who have passion to contribute their abilities to design a new world. We provide instructions by active professionals in the industry, so that it is always relevant to ongoing needs and trends of the industry. We believe in the equal opportunity and create a system in which anybody on the globe can receive our education. Through individual coaching, we bring out students’ potentials to become a designer with creativity and proposal power suitable for the new era. We accept anyone in the world who supports our educational goals and principles. We accept ones who work on assignments for each lesson with enthusiasm and are able to secure time for that effort. We accept ones who treat fellows who learn together with respect and trust. We accept ones who are eager to foster ones’ ability through designing and serve the society. We construct a system specialized in design education and offer curriculum unique to each course online. Also, we hold summer seminar and annual competition. To support students’ job application, we run a program which council on creating portfolios. “Make a difference” is our motto. We support students to foster their abilities to understand themselves and express themselves. The courses covers sketch techniques such as line drawing and coloring, necessary to materialize your design ideas. Going through procedures used in actual designing projects, (creating concept, idea sketch, rendering, and presentation) we help students acquire practical skills. As a institute which was founded with the purpose of training fine designer who can create a new world, we offer a diploma to one who finished assignments for each lesson, acquired an ability to fully express ideas, and compiled a portfolio with a high quality. 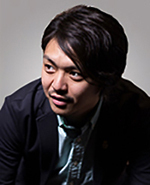 Mr.Can graduated from Kuwasawa Design School, and upon his graduation, he joined NORI, inc., a car design company lead by Nori Kuwahara. He has participated mainly in car designing projects, and also automobile, other product, graphic, monumental designs. His activities range from concept proposal, idea sketch, rendering, to 3D data modeling. In 2014, he was appointed to serve as Design Director. In 2018, he was appointed to be Director of Car Design Academy. Mr. Kuwahara graduated from Kuwasawa Design School. After participating in various automobile design projects at Honda, he moved to Europe to work at Italdesign under a world class designer, Giorgetto Giugiaro. Subsequently, he spent productive years at EU Ford, and went back to Japan to incorporate DCI, a car design company. He worked on numerous design projects for Europe and Japanese car manufacturers. in 2001, he founded NORI, inc.
Graduating from Crafts program of Hakata Technical High School, he joined Nissan Motors as designer in 1968. Starting off from parts designing, he was promoted to design Violet 2nd generation. Thereafter, he participated in works that expressed fundamental charms of cars, such as Fairlady Z Z32, Silvia 240SX, Skyline GT−R, Infinity G35, Q45. 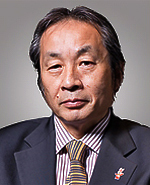 In 2008, he was appointed as Professor at Tokyo Metropolitan University, and taught transportation design. He is a founder of Interrobang Design Collaboratives, Inc. 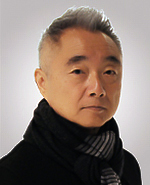 While he was studying at Department of engineering at Waseda University, he decided to become a car designer, and subsequently, entered renowned Art Center College of Design. (ACCD) After spending 7 years at Opel, he worked at Stile Bertone and worked on numerous projects. He currently runs his own product design company and stays active. 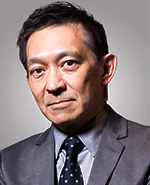 Graduating from Tokyo Communication Art Academy in 1995, he joined Honda Motor Co., Inc. Specialized in products targeting the young generation, he was in charge of concept and design for Ape and ZOOMER. On the side, he manages an accessory brand product_c. His recent work includes motor scooter GIORNO。The 42th Tokyo Motor Show Model ‘motor compo’ attracted attention in many countries in the world. 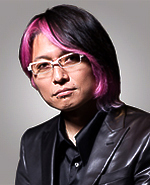 In 2012, he left Honda and founded pdc_designworks. While teaching at TCA, he stays active working on many projects.